Peter Andre has become a new dad for the third time as he and his fiancée Emily announced the birth of their daughter Amelia in January 2014. 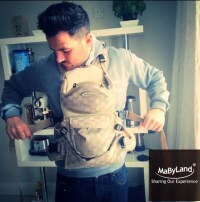 The hands-on dad tweeted a picture of himself trying on his new MaByLand Luxury Comfort Carrier and said: “Thanks so much to MaByLand for this, it's so great and Ems and I use it every day!" MaByLand is multi-award winning UK baby brand based in London. It is best known for baby carriers and changing bag sets as well as private label and sourcing services. The Comfort Carrier is part of MaByLand's Luxury Collection. It is a fully supportive, comfortable baby carrier for both parent and child. Fully adjustable wide shoulder straps ensure a perfect fit to anyone from tiny Emily to muscular Peter! It also features a padded adjustable wait-belt for added support and comfort. Baby is carried in an ergonomic seated position, and MaByLand has incorporated a storage pocket that holds the attachable blanket. 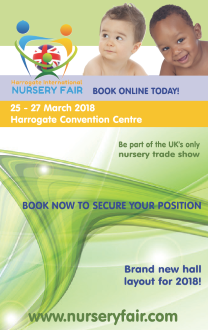 The Comfort Carrier is suitable for infants from 3 months to 3 years old, and retails for only £75.99! Sheena Woods MaByLand's director said "It's fantastic to know that Peter chose to use our Luxury Comfort Carrier and hear that he enjoys carrying his daughter Amelia in it."